Welcome to Stalybridge Eyecare where clinical excellence meets world leading styles. We are very proud to be celebrating over 7 years as one of the most popular independent opticians. Spectacles are far from just an optical aid to correct your vision.Your glasses are an integral part of how you look, as important as your skin, your hair, your make up and your wardrobe. Your glasses affect how you feel about yourself, and how other people perceive you. Friends might eventually notice your new handbag or new shoes, but glasses are generally the first thing anyone notices about a spectacle wearer. We believe that our Practice is like a candyshop for spectacle wearers and we have something here for everyone. Glasses are a very personal choice and there is nothing quite like spending some time trying out various shapes and sizes. We have the latest trends and styles and are more than happy to help you choose something that you will be happy wearing for a long time. Alderley Eyecare has Elite Client status with the main Italian frame company Luxottica who supplies our Chanel; Prada; RayBan; Bulgari and Tiffany frames amongst others.We are also among a hand-full of practices in the UK to receive and preview boutique collections and Limited Edition spectacles and Sunglasses from designers such as Tom Ford, Dior, Gucci, Persol & Mui Mui. We ensure that all our staff, including our Opticians are fully trained in dispensing glasses and between them have decades of experience. We are able to find you a frame to suit your appearance, your lifestyle and of course your budget!. Most of all we pride ourselves in our personal service. From start to finish we are always here to help and give honest advise. Whatever frame you choose, we will make sure you walk out of our shop feeling excited with your new glasses. All we can say is, CALL in, have a browse and see if we can help you .We look forward to welcoming you. Whenever you see anyone wearing some cool specs, you’ll know they’ll have gotten them from us. Spectacles are no longer just an optical aid to correct your vision, your glasses are an integral part of how you look, how you feel and how other people perceive you. 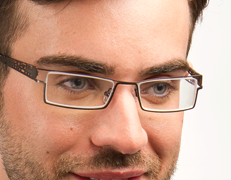 We are very proud to boast of a very large, specially selected range of frames for men. We have budget frames to mid-range all the way to the top-end designer. There really is something here for everyone. We are confident that you will leave our shop with a great frame to suit your appearance, your lifestyle and your budget. Our spectacles are made from a range of materials, including Titanium, stainless steel, metal, acetate, plastic and some are even made of gold and wood. All our frames have at least a 12 month manufacturer warranty. We source some of the best eyewear collections and are always on the look out for the latest trends by attending eyewear launches in Milan, Paris, New York and London. We are an Elite Client with Luxotica – our main Italian supplier. If there is anything else you are looking for, please just ask. We will be happy to investigate your request and will reply promptly to any enquiries. 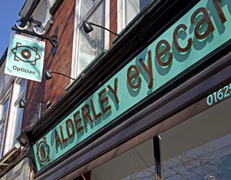 Either call us on 01625 582030 or contact us at info@alderleyeyecare.co.uk. KIDS EYETEST – ARE FREE!!!! Here at Alderley Eyecare we pride ourselves on our Children’s Testing. Our test is designed to be a fun experience in a relaxing atmosphere. We advise that children should have their first eye examination at around three years old. Learning difficulties can sometimes be caused by uncorrected vision problems, so the earlier they can be detected, the better the chance of correcting them. It is imperative to make sure your children have regular sight tests as part of their development. Very often sight deficiencies can go undetected in young children as parents and teachers can be unaware.Children under the age of 16 (or under 19 if in full-time education) are entitled to free eye tests on the NHS. To find out who else is eligible to a test for free visit - free eye tests. Children will have vision screening as part of their routine development checks, but are not as thorough as a full eye examination by a qualified optometrist. It is important for children to have an eye examination before starting school. The optometrist needs to determine if a child’s vision system is adequately prepared to handle reading, writing and other close work. Toddlers use their eyes mostly looking at distance, however, school children require the eyes to focus on very close, small work for many hours a day. This can cause vision problems to arise but as children believe that what they see is ‘normal’and believe everyone see’s as they do” & cannot tell if a child’s eyes are healthy, “ or focusing comfortably when used together for long periods of time”. The eye chart test, performed by the school vision screening, cannot tell if a child’s eyes are healthy, focus comfortably, and are used together for a long periods of time. It can therefore be no substitute for a proper examination by your family optometrist. In order to minimize the chance of an eye or sight defect being carried into adulthood a regular sight test is imperative. Remember that sight tests don’t hurt! We try to make the examination as much fun as we can for your child and they don’t have to be able to read, as we can use pictures and small objects. Our children's glasses are built to last! Children have a busy active life, with lots of rough and tumbles. For this reason, we have children's glasses that are built with this in mind, with something for everyone. They are specifically designed to fit small faces and will be fitted and adjusted to ensure they are comfortable to wear. They'll also be given a free case in which to keep them when not being worn, and a lens cleaning cloth. Children spend more time outside and, like skin, their eyes need protection from UV rays with the use of sunglasses. Always protect your child's sight in the sun. There is increasing evidence to suggest that over-exposure to the sun's ultraviolet rays (UV) can contribute to the development of cataracts, age-related macular degeneration and ocular meanoma (eye cancer). On average, people receive 50% of their lifetime sun exposure before they are 18 years old. We have some great sunglasses for babies and young children so that you can be sure that there eyes are as well protected as yours. At Stalybridge Eyecare we use ophthalmic lenses made by CARL ZEISS a leading German lens manufacturer. These lenses are manufactured using technologically advanced lens materials and are the result of the latest research and development in the field of optics. 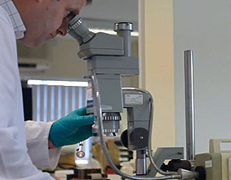 In our specialist Glazing Laboratory, we stock an extensive range of single-vision prescription lenses, including ultra-thin lenses for short sighted and long sighted spectacles prescriptions. All of our lenses have a scratch resistant coating and special anti reflection coating. After years of research and many innovations, the single-vision lenses available today offer superior quality and design and provide superb comfort for the user. These lenses can be up to 50% thinner and 45% lighter than standard plastic lenses. Their ultra-thin profile improves the design and the appearance of your spectacles. Aspheric and double aspheric lens technology provide clearer vision over the entire surface of the lens, giving the wearer a larger distortion-free field of vision. At Alderley Eyecare we use the best, custom-made designs for our single aspheric and double aspheric lenses. 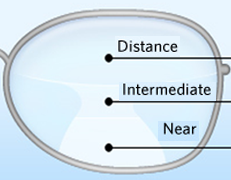 Single vision lenses are used to correct vision for either far or near distance. Around the age of forty, many people develop presbyopia. Presbyopia is a condition in which the lens of the eye loses its ability to focus, making it difficult to see objects up close. Progressive, or varifocal lenses provide excellent near, intermediate and far vision, all in one lens, so the wearer does not need to take their spectacles off and on. 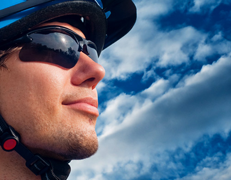 Because they are made according to your specific requirements, our SEIKO progressive lenses guarantee comfortable vision for any activity, including leisure and sports. Some spectacles and sunglasses frames have a higher base curve or they are made in the wrap-around style, which can make it difficult to fit them with standard type lenses. Curving the lens to accommodate the shape of the frame can result in distorted vision at the edges of the lens. Here, at Alderley Eyecare, we use the latest generation of curved ophthalmic lenses, like the new SEIKO SPORTSTECH lenses, as a solution to the problem. These lenses enable the wearer to see clearly right up to the edges of the lenses and create a clear vision over the entire lens, even when it is fitted into a highly curved, wrap-around style frame. These spectacles and sunglasses lenses are extremely thin, lightweight and impact resistant and they provide protection from wind, dust and UV light. They are available in a variety of coloured tints and polarized filters. At the moment, these lenses are not available for all spectacles prescriptions and we will advise you on their suitability. We provide the highest quality of service to all our clients. Our technicians specialise in technically demanding tasks that require meticulous attention to detail and the highest level of expertise. We specialise in wrap-around style frames, rimless eyewear and handmade horn frames. In particular, we pride ourselves on the fast and efficient service that we provide. In our glazing laboratory, we use the latest, sophisticated Nidek glazing equipment to cut lenses to fit your spectacles or sunglasses.We have a large range of single-vision ZEISS ophthalmic lenses, including ultra-thin lenses for higher spectacles prescription. This enables us to produce, upon request, and very often on the same day, a ready-to-wear pair of spectacles with your prescription. This service is available Monday to Friday 10-4pm. These days people who need vision correction don’t want the same correction for all their activities. You don’t have one pair of shoes for the office, the bedroom, the walk in the country, the beach and the tennis court do you? So although spectacles may be great for certain aspects, many people of all ages prefer the freedom of contact lenses especially for more dynamic activities. They provide a wider field of vision without the disadvantages of spectacle lenses splattered with raindrops or misting up when you get hot. 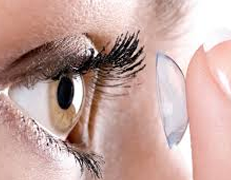 Many people have found that contact lenses fit their lifestyle perfectly. Whether you want lenses for all-day, everyday, or just for occasional use for sport or that special occasion we have the lenses to fit your needs. We frequently successfully fit lenses to people who have been told by other opticians that they are unsuitable for contact lenses. Lenses these days are available in high-performance designs and materials so that they are healthier and more comfortable than ever before. Whether you have tried lenses before and given up or want to try them for the first time, our skilled optometrists will find the lens that is right for you. Because we are an independent practice we have the freedom to choose contact lenses from any supplier. Our first-choice for many is the Acuvue range of lenses from Johnson & Johnson VisionCare, and our practice is an Acuvue Centre of Excellence. 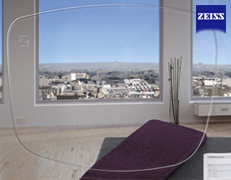 We also supply lenses from all the mainstream manufacturers: CibaVision, Coopervision and Sauflon and Bausch&Lomb. We also specialise in RGP's (Ridged Gas Permeable) lenses. The staff were very helpful, i have to give them 100% for help me go throug the process during my eye test and also helping me to chose the right type of frame and lense that will suit me. very helpful staff i ahve to say ,they took me from the begining of the process to the end with great help in making the right choice for my glasses. We are proud to provide expert eyecare in the heart of Didsbury and welcome you all to our practice. Please come in and meet our team or call for any information and to make an appointment.